Rest well at the Radisson Blu Shanghai New World. All 520 hotel rooms and suites are appointed with high-quality fixtures and furnishings like high-speed, wireless Internet and satellite TV. Take in glorious views of People's Park and the Shanghai skyline, while you enjoy the quiet, comfortable atmosphere created by comfortable beds and calming decor. 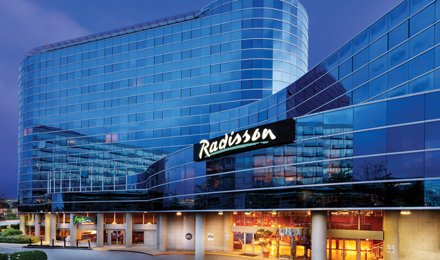 Indulge your senses in the exciting restaurant choices at the Radisson. Taste cuisines from across the globe and experience stunning views at Epicure on 45, or take in a live show at the Sky Dome Bar. Try traditional delicacies from Canton and Shanghai at Mingxuan Noble House or get a taste of the West at the 24-hour Windows on the Park. If you prefer to dine the comfort of your Shanghai hotel room, 24-hour in-room dining is available for your convenience. 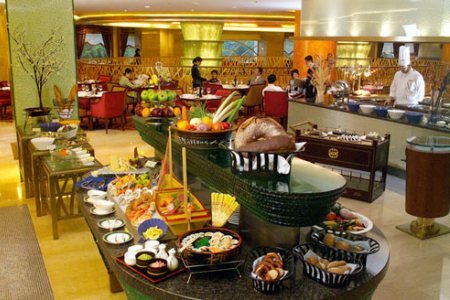 For reservations, please call +86-21-63599999.